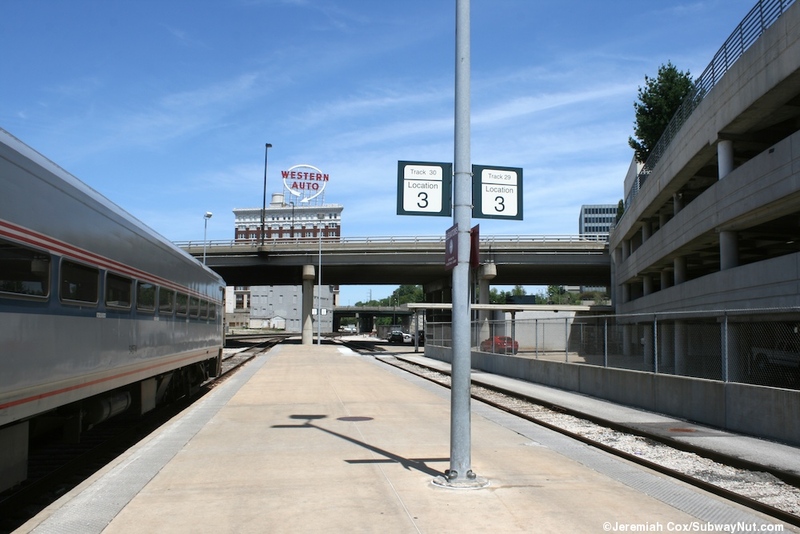 Kansas City, MO has nearly always had Amtrak service from three daily trains. 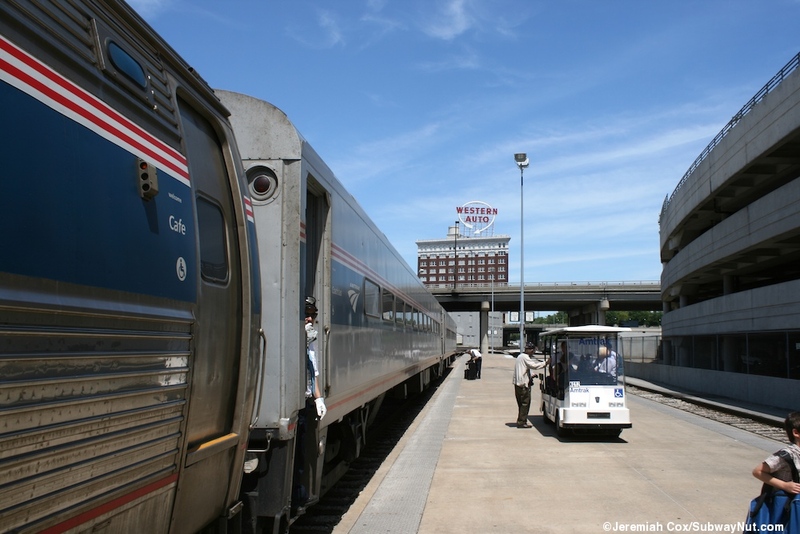 One train has always been the Southwest Chief (called the Super Chief/El Captain until 1974 and Southwest Limited until 1984, with a second daily train in the Summer 1972). 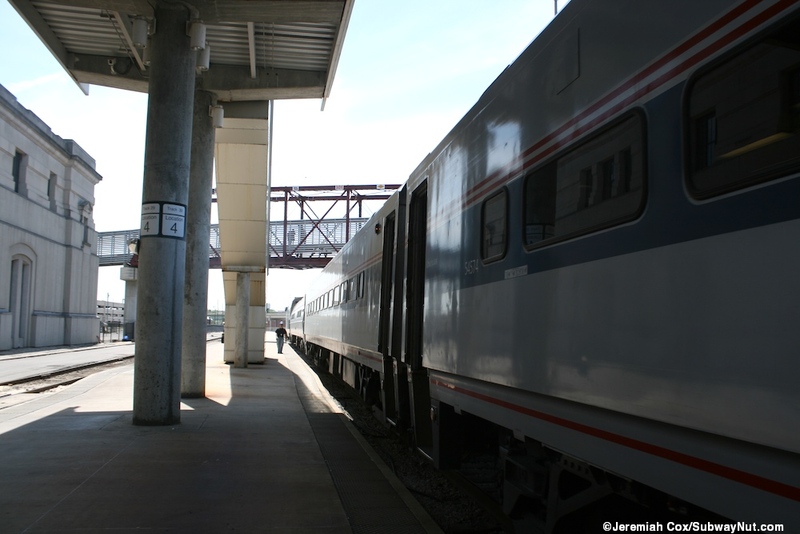 Since 1980 the other two trains have been local trains to St Louis now called the Missouri River Runner. 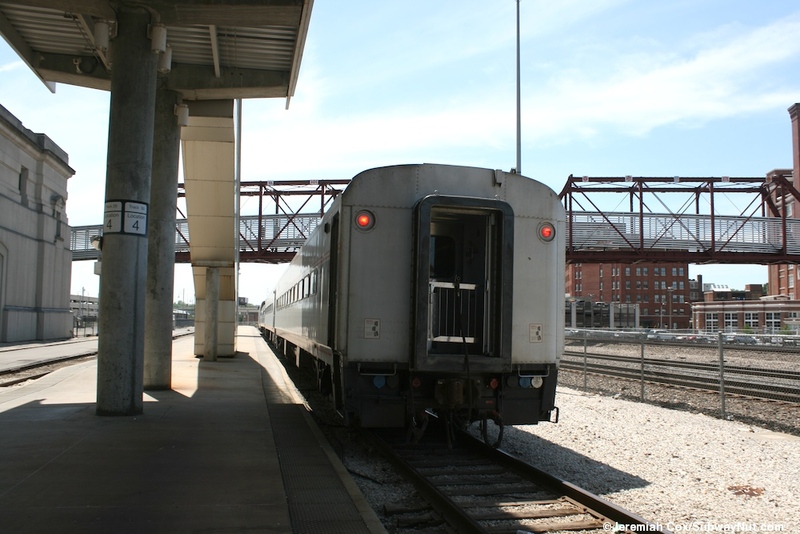 Until 2009 these were called the Ann Rutlendge which was extended to Chicago as a thru train until Spring 2007, it still connects with a Lincoln Service train to Chicago and the St. Louis (eastbound) and Kansas City (westbound) Mule. 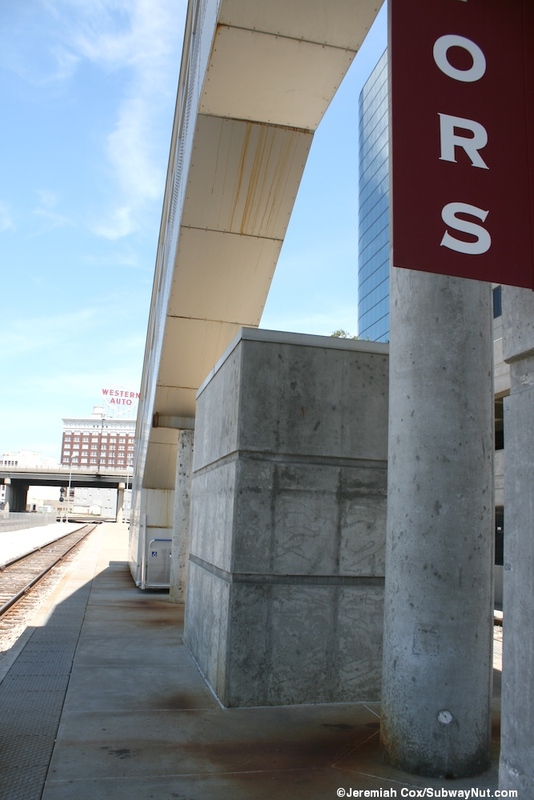 From 1984 to 1993 there was through service to New Orleans via the River Cities attached to the Mules to St Louis running seperately to Carbondale and then on the City of New Orleans. 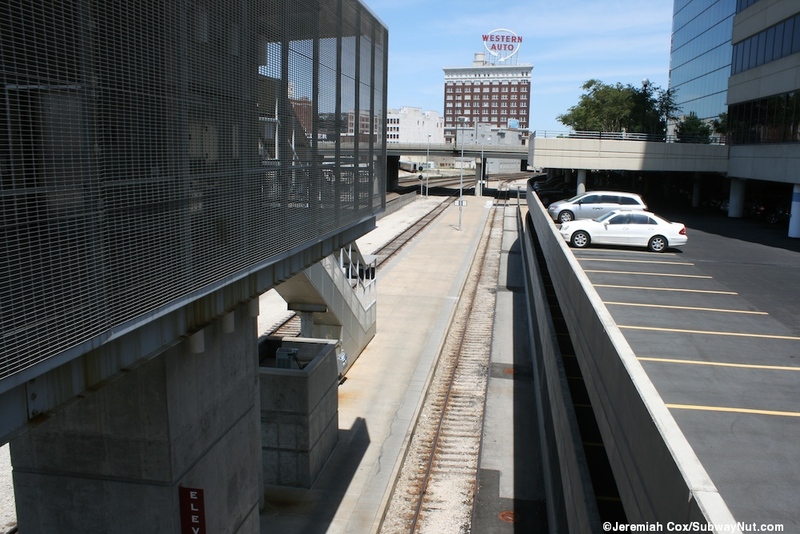 The other two trains to serve the station in the 1970s (both were ended on October 1, 1979) were long distance trains. The Lone Star (called the Texas Chief until 1974 and sometimes running only Triweekly) ran from Chicago to Houston via Oklahoma City and Dallas (with a Dallas section, in some years coupled together with the Southwest Limited to reach Chicago, they shared the same route) and the National Limited to New York City via St Louis, Indianapolis, Columbus, and Pittsburgh. 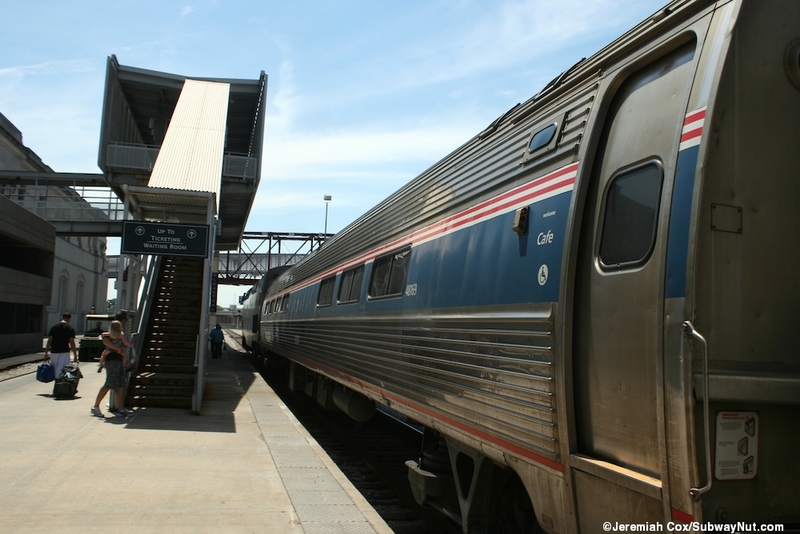 The National Limited included a thru Transcontinental Sleeping car (via the Southwest Limited) for much of its existence. 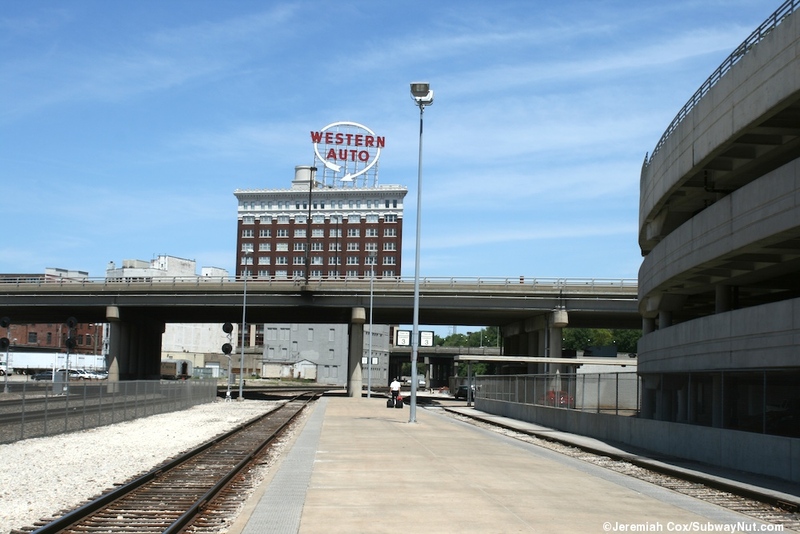 The Amtrak station in Kansas City has been in the 1914 historic Beaux-Arts Station except between 1985 and 2002 when Amtrak served the "Amtrak Shack" outside the historic station. 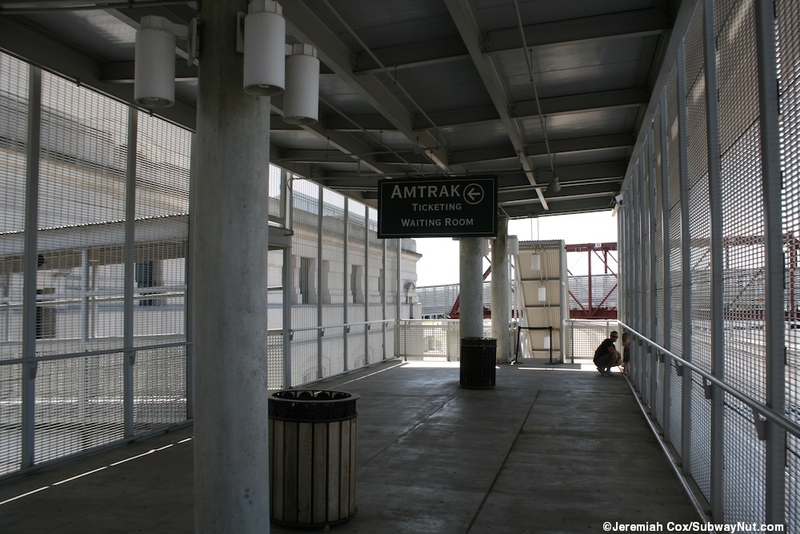 The paltforms though have always been in similar places although the number in service has been greatly reduced to just tracks 29 and 30 where Amtrak trains stop at a single island platform. 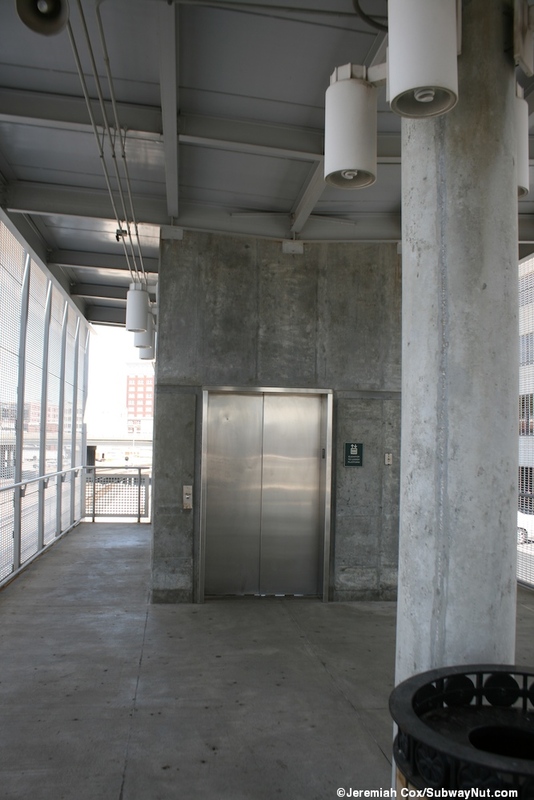 This platform is a restricted access (with the 10/5 rule, tickets must be purchased ten minutes prior to departure and the gates to the platform are locked 5 minutes prior) low-level island platform which his high enough to not require stools. 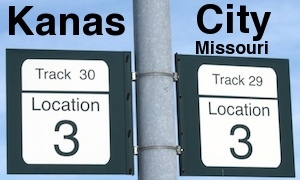 The tracks are still labeled tracks 29 and 30! 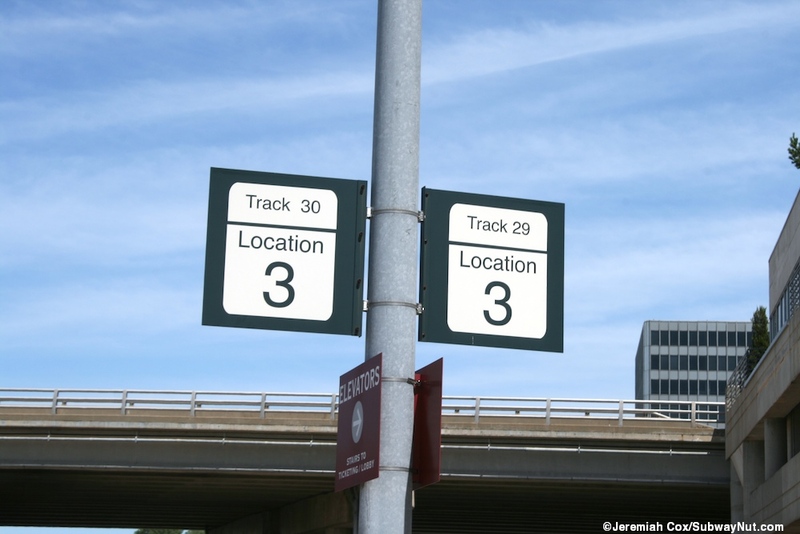 with simple location signs, a nice touch to what was once an immense railway hub. 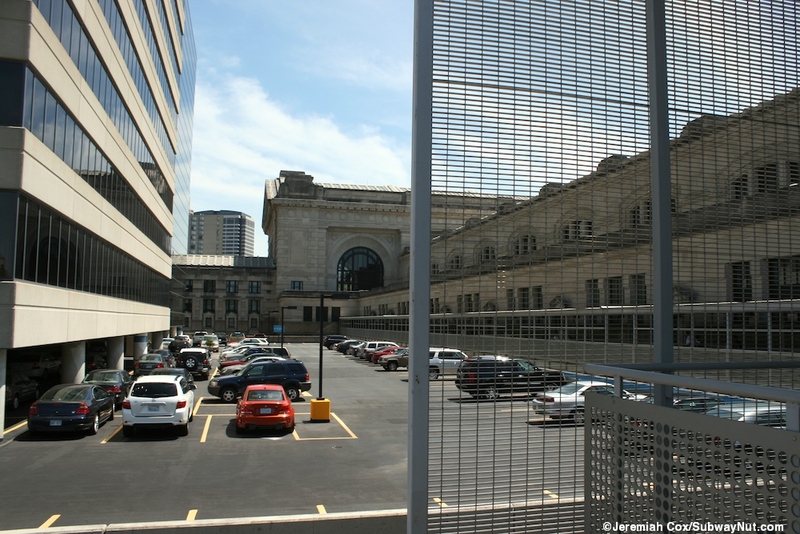 A fence separates these two passenger tracks from the thru-tracks of the BNSF main transcontinental railroad line. 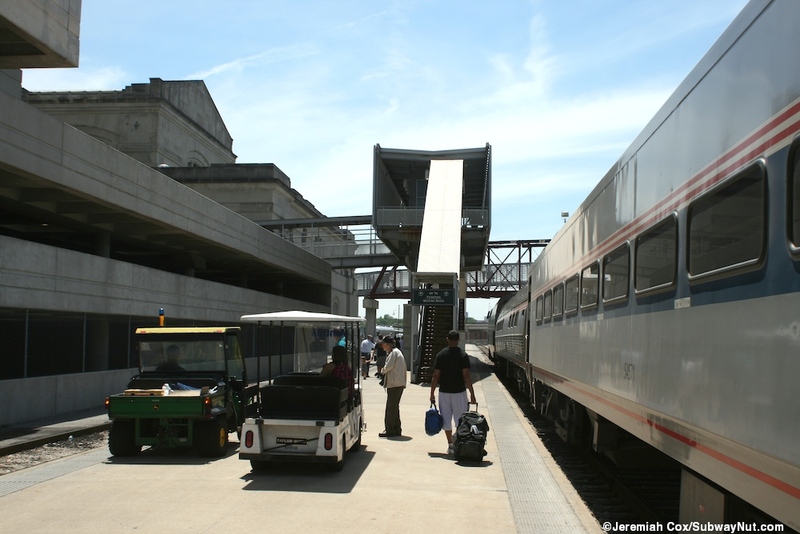 The platforms (where no one needs to spends all that much time, except in line to board the Southwest Chief when the attendant is overwhelmed handing out seat assignments from boy scouts who just boarded) are totally exposed with no canopies. 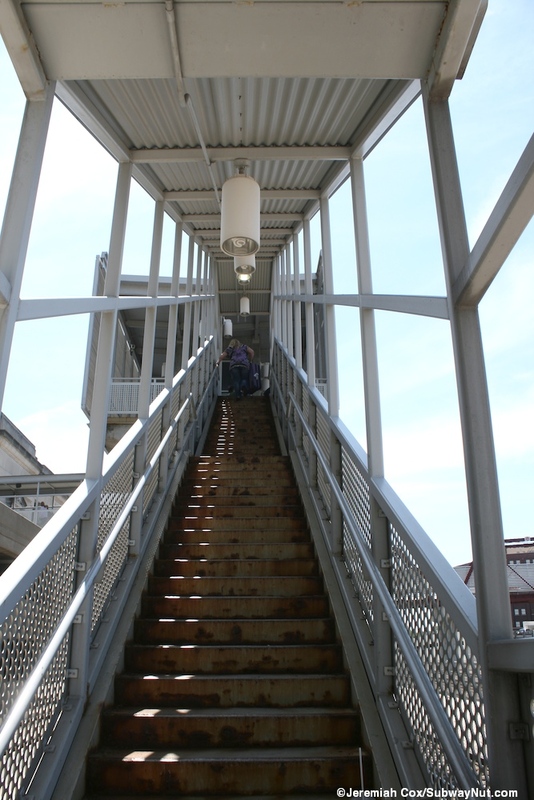 The only way to reach the station itself are via two narrow covered staircases with an elevator in between that lead up to a long nondescript overpass with a white tin roof and white railings between the depot and a parking garage. 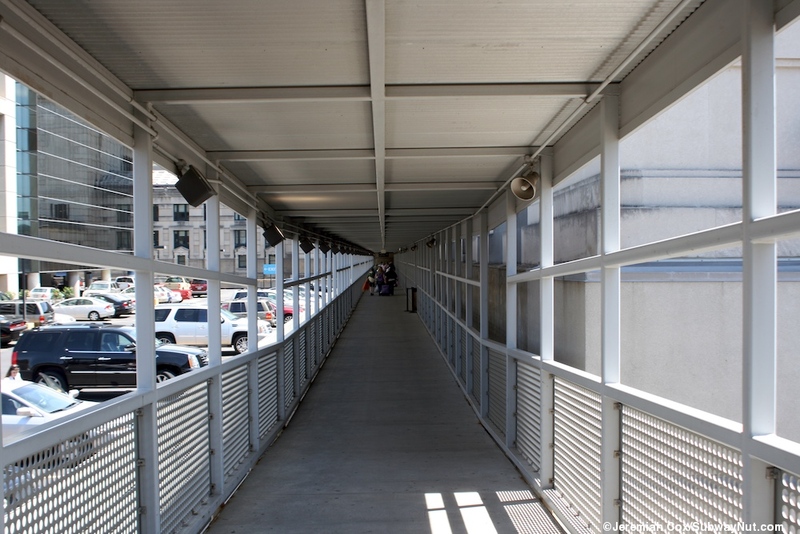 These lead to the entrance to the station with two doors inside right across from the ticket windows with the baggage claim off to one side. 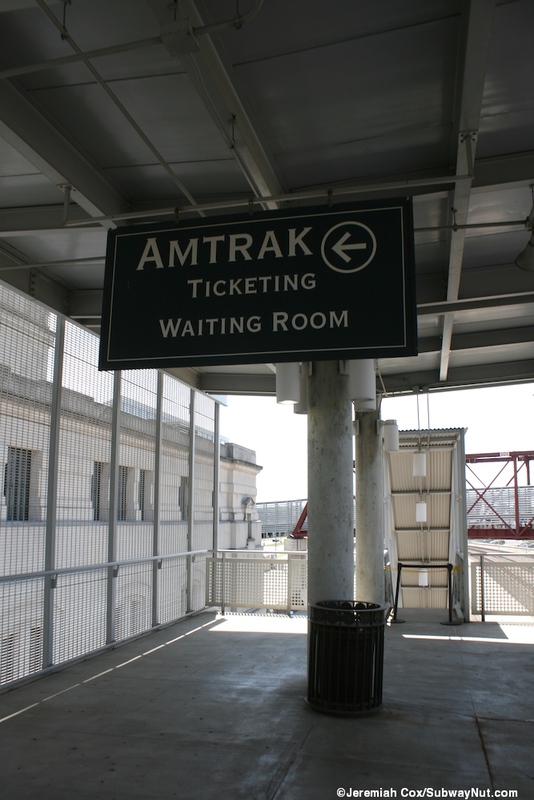 The Amtrak doors into the station lead to a narrow hallway with a dividing line between those waiting to board trains and those buying tickets. 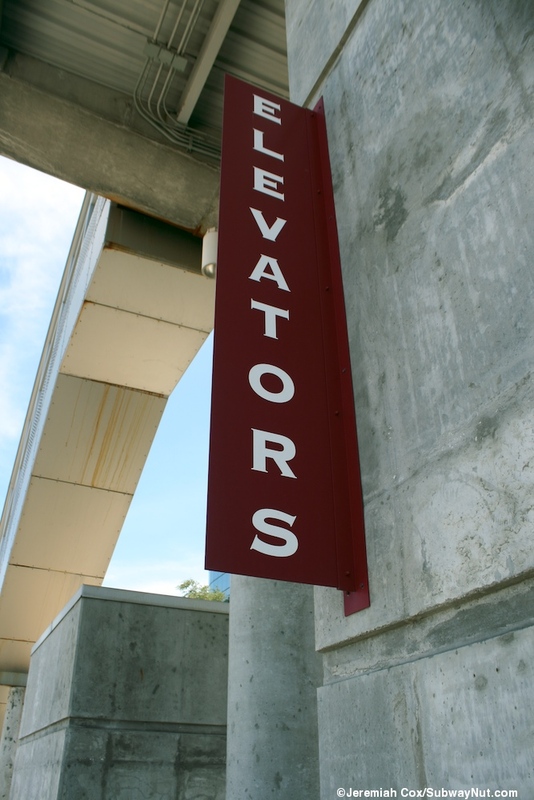 This hallway is totally nondescript with modern signage. 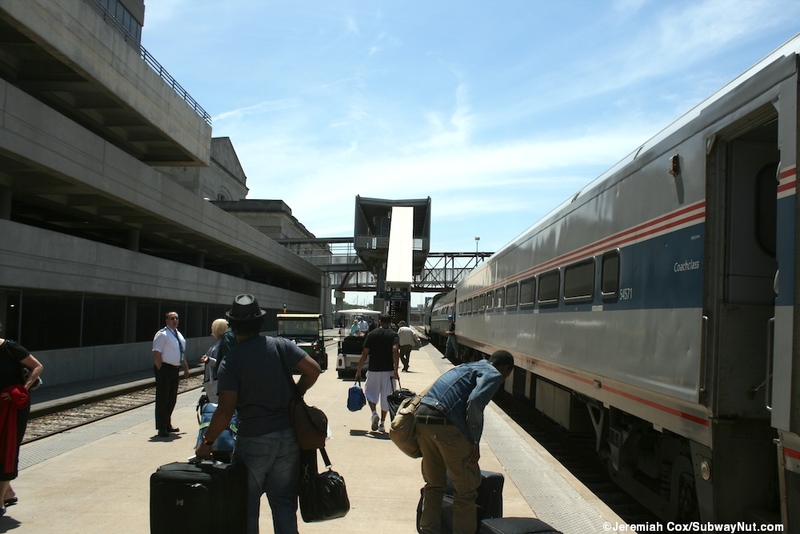 When I was there and did left luggage before the evening departure of the Southwest Chief the employees manning the ticket office were completely contrasting. I got into a chat with the afternoon staff about their fear for their jobs with the introduction of eTickets and how two jobs were lost when the Quik-Trak machine was installed. The evening ticket agent couldn't have been ruder telling me I was lucky that she was still there when I went back to retrieve my backpack at 10:25, after the Chief had boarded although I was still 20 minutes before the train's 10:45pm departure. She blamed the daytime staff since they were supposed to tell me I needed to pick my luggage up by 9:30 (they didn't, and what is the point of doing left luggage when you need to retrieve it over an hour before departure). 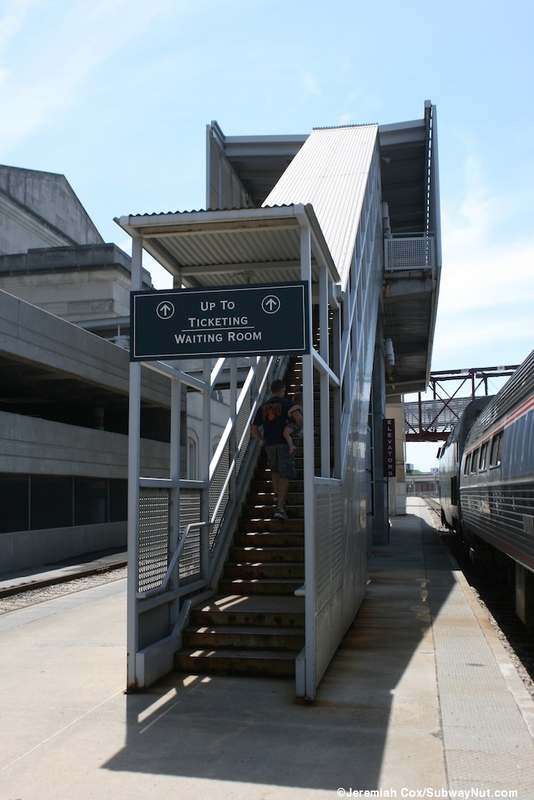 Beyond this hallway ticket office is a nicely restored room (with vending machines) and wooden benches that is the Amtrak waiting room, and a main entrance that leads in from the Grand Hall.